If you have been reading my blog for a while, you would already know that my great passion is knowing, loving, and serving God. One of my greatest desires and deepest joys is helping others who share this same passion fulfil the vocation that God has called them to. During my years of full-time ministry in the Church, I had the privilege of getting to know and befriending a young married couple who had both answered God’s call to serve in pastoral ministry full-time. Leonard and Cassilda are both Youth Directors at the Catholic Spirituality Centre (CSC) in Singapore, and to many of the young people who have attended the popular Awaken Youth Conversion Retreat, they need no introduction. Those who know them and who have served with them will surely attest to their zeal, industry, professionalism, giftedness and their love for the young people they serve. With the little they have (working for the Church is not the most lucrative of careers! ), they open not only their hearts but also their home (and kitchen!) regularly to the youth. Their hospitality and generosity have always humbled me. But what has endeared them most to me is their fidelity to Christ in times of great challenges and personal trials. In Leonard and Cassilda, I felt I have found a brother and sister whom I could trust to be in the trenches of evangelisation with me. 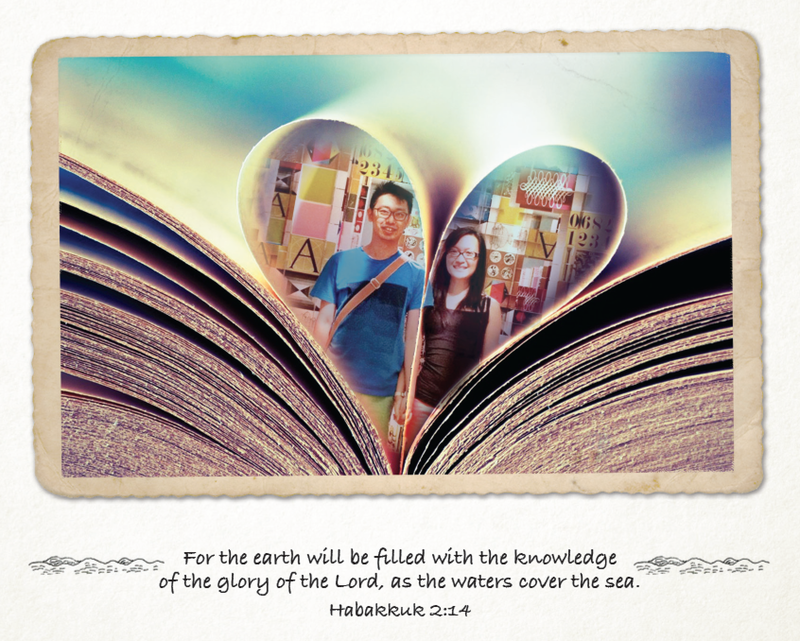 Now it seems the Lord has called them to further equip themselves for His service with theological studies. The Catholic Church in Singapore is providing them with a partial scholarship, but they still need to raise a substantial amount on their own. I am utterly convinced that God will provide for these two faithful and beautiful souls who have always endeavoured to be generous to Him. And I am convinced that God will give many of us the privilege of being His instrument of providence – both in prayer and in financial support – for this wonderful couple. I pray that you will click on the link below to find out more about Leonard and Cassilda. If nothing else, I ask you to say a prayer for them as they embark on this new and exciting adventure with the Lord. But if you can, and especially if you know them and believe in their mission, please show them your support with a donation. It doesn’t have to be much. Together, our generosity will be mighty!